Ben Macintyre, the London Times columnist and author of Agent Zigzag: A True Story of Nazi Espionage, Love and Betrayal, and A Spy Among Us: Kim Philby and the Great Betrayal, offers a look back at British traitor Kim Philby's My Silent War: The Autobiography of a Spy on the 50th anniversary of the book's original publication. 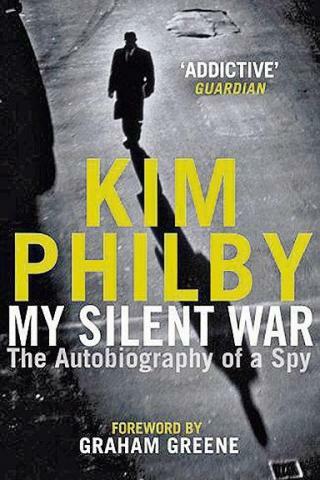 For many years after the publication of My Silent War, it was rumoured that the autobiography of Kim Philby had been ghostwritten by the KGB, and that the last published words of Britain’s most notorious spy were not his at all. The rumour was not true. No one but an upper-class, public school-educated, waspish and embittered English spook could have achieved the level of eloquent vitriol packed into the pages of this delightful book. Written in 1968, five years after Philby boarded a Soviet freighter in Beirut and fled to Moscow, My Silent War is a blend of fact and fiction, part history and part propaganda, at times devastatingly honest and in others wholly mendacious. 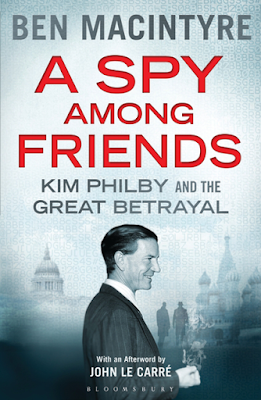 It tells the story of Philby’s recruitment by Soviet intelligence in the 1930s, his meteoric rise through the ranks of MI6 and a 30-year career as a spy inside the British establishment, betraying his colleagues, friends, wives and family, and sending hundreds, perhaps thousands to their deaths. … Philby began his espionage career as a true communist believer, but over time his motivations evolved: he became addicted to the adventure, the romance, the lying, the drug of infidelity; he insisted he was right because he could not bear to imagine he might have been wrong. Unlike many other British communist converts, he never admitted the brutal reality of the Stalinist state he served, even though, as a senior MI6 officer, he was uniquely placed to know the truth. He chose to ignore it. This is the credo of a fundamentalist, sublimely indifferent to the suffering and death he had caused.